The Amazon Echo is a voice enabled speaker and personal assistant that has a range of capabilities which grow every day. As a developer who is fascinated by both the Internet of Things and artificial intelligence — the Echo holds so much potential! 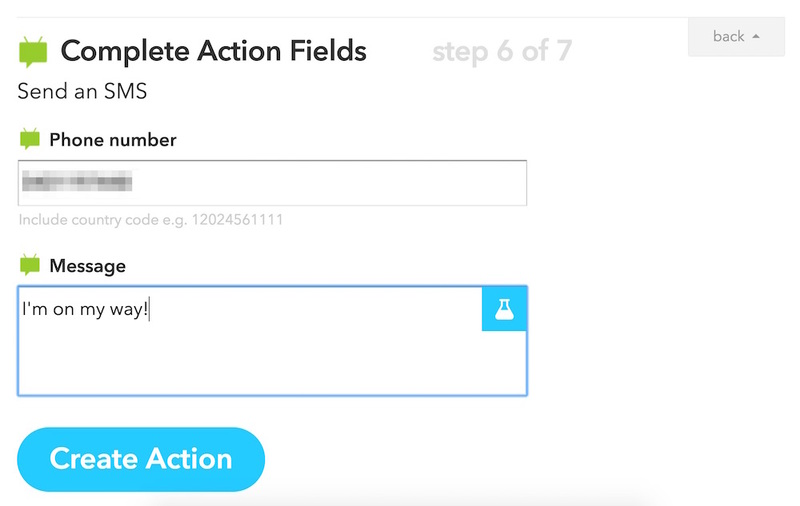 The best way to begin experimenting with your own Echo customizations is via IFTTT (If This Then That), a service that allows rule based actions and triggers between a range of devices and services with no programming required. In this article, we will explore a few examples of functionality that the Echo can achieve when paired with IFTTT. If you are in Australia — like me — and aren’t quite sure how to get your hands on an Echo and set it up to work here, I have a quick guide on how to set up an Amazon Echo in Australia that I wrote at Dev Diner on this very topic! Whilst you can’t get everything to work just yet, developers can get enough working that you’ll be able to develop for the Echo in no time. 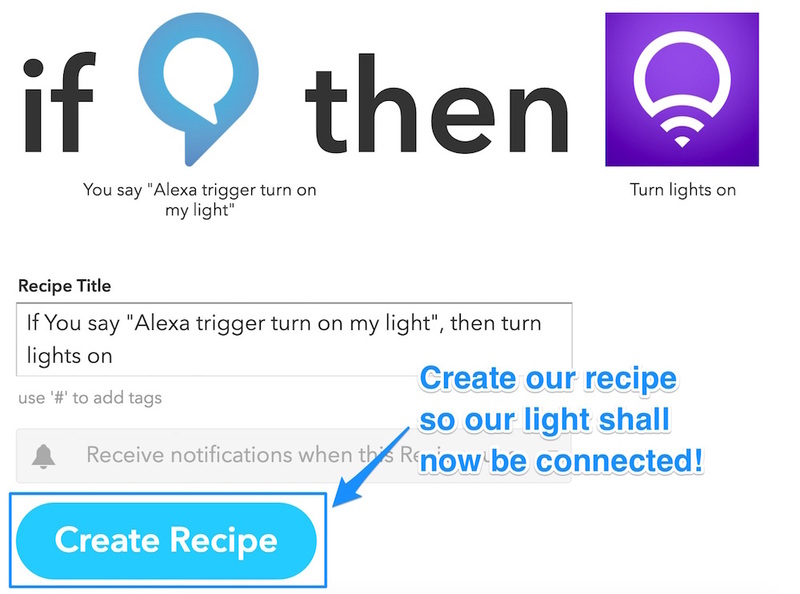 If you are completely new to IFTTT, we have a more generic overview of how it works in an earlier piece on Connecting LIFX Light Bulbs to the IoT Using IFTTT. 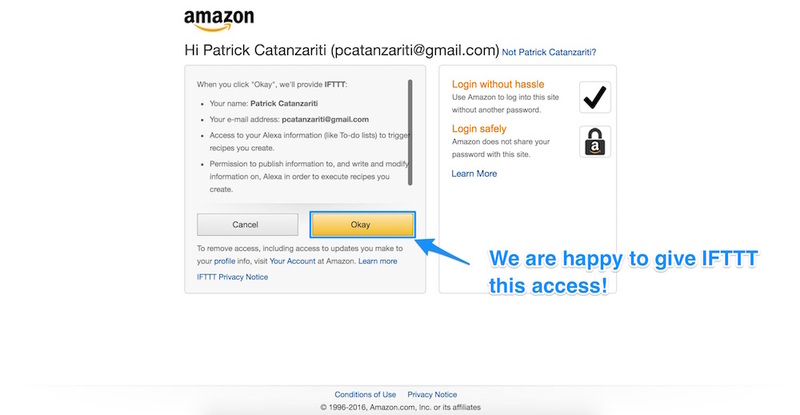 We’ve also connected it to Node.js via the IFTTT Maker channel and WordPress via the IFTTT WordPress channel. 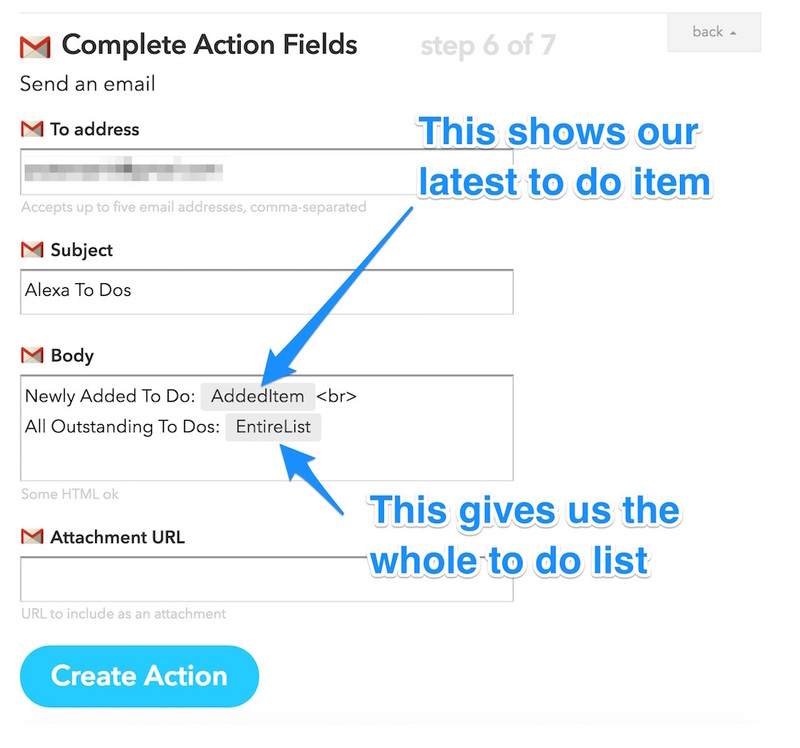 Throughout this article, if you find any concepts in IFTTT a bit confusing, check the earlier articles — however I’ve aimed to structure this so that most readers can pick things up solely from this article. 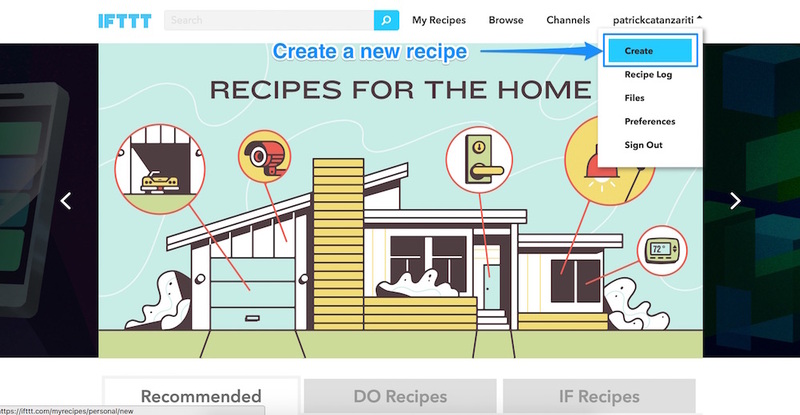 From there, the steps for beginning a new recipe with the Echo are always the same, as the Echo is only a trigger in IFTTT — not an action. 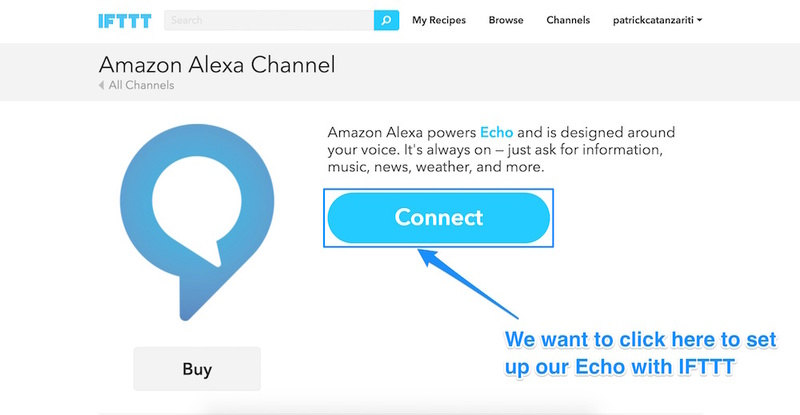 In other words, you can only use the Echo in IFTTT to cause actions to occur, you cannot get IFTTT to make the Echo speak back to you or look up information (I hold out hope that this will be a future addition!). From there, search for the Amazon Alexa channel. It will also appear if you search for “echo”, so you can find it in a range of ways! 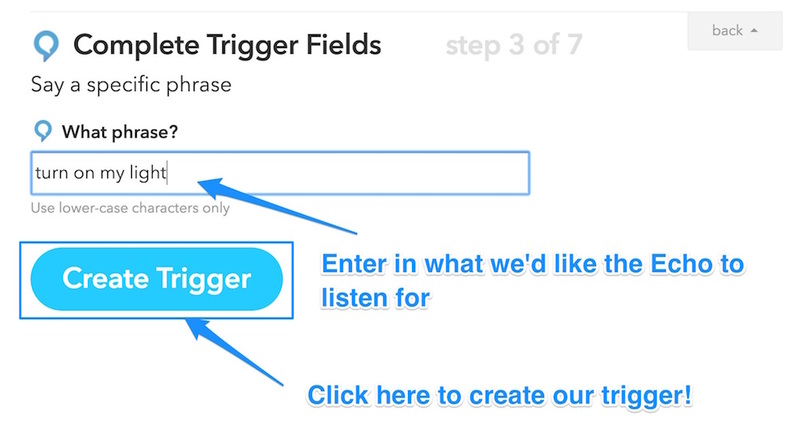 From here, the trigger option chosen will differ depending on the recipe we want to create. Each recipe below will start from this point in the process. Whilst there is a LIFX skill you can install onto the Echo, it didn’t work for me when I tried to use it. 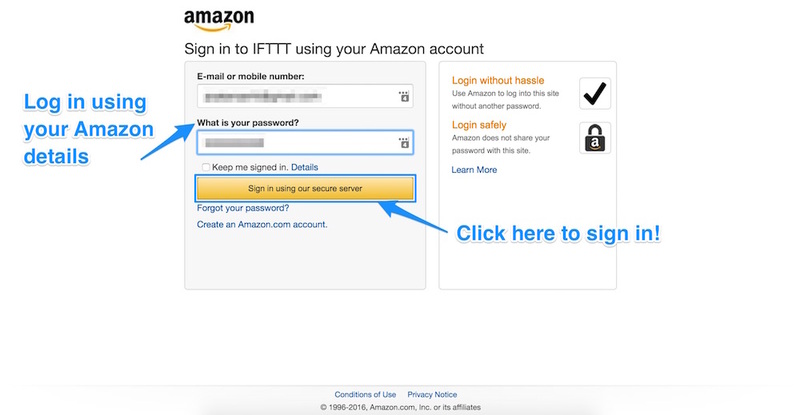 If you also have the same issue, you can use IFTTT to achieve the same results, just as we did within the Connecting LIFX Light Bulbs to the IoT Using IFTTT article here at SitePoint. Finally, select which light you want the command to turn on (you could write more specific phrases in the Echo trigger, such as “turn on my bedroom light” and set specifics within this rule). Choose how quickly you’d like the lights to fade in — we’ve chosen “Instant” as we want them to turn straight on. You can choose to set the color and brightness of the light when you give this command, however we’ve left this as is so that it remains at the last setting the bulb was given. The advanced options aren’t necessary for this one! Click to continue to create the recipe. If you now speak to your Echo and say “Alexa trigger turn on my light”, you should find that your LIFX light turns on! It is the Internet of Things magic at work! 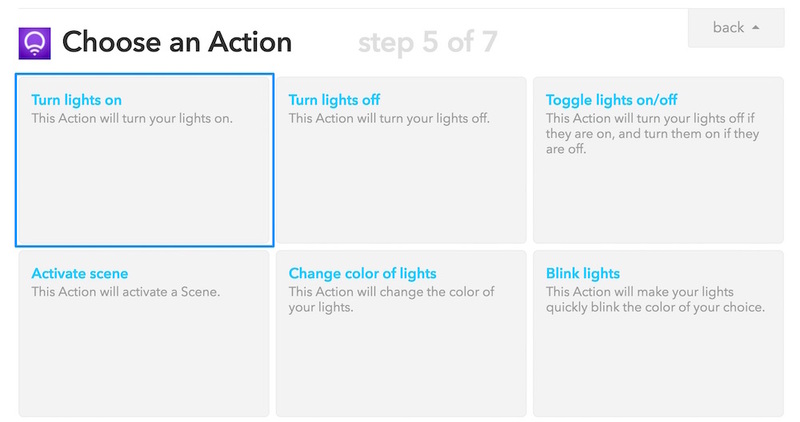 You can use the same process to create a recipe to allow Alexa to turn off your light in the same way. Saying “Alexa trigger turn on my light” is a bit awkward. Instead, you can try out a few phrases to see what feels right by editing the recipe. To do so, go to the My Recipes page on IFTTT and find your recipe. Scroll down and you’ll find the “What phrase?” section. I find it is best to write the phrase in the shortest format possible, building upon the word “trigger” in the sentence. For my light, we’ve now got just the phrase “my light”. Which results in “Alexa, trigger my light” — a much more natural sounding phrase to remember! Using IFTTT, we can send SMSes via an Android device. IFTTT has a generic “SMS” channel, but this only lets you send SMSes to yourself. The Android SMS channel lets you send them to any number you define. 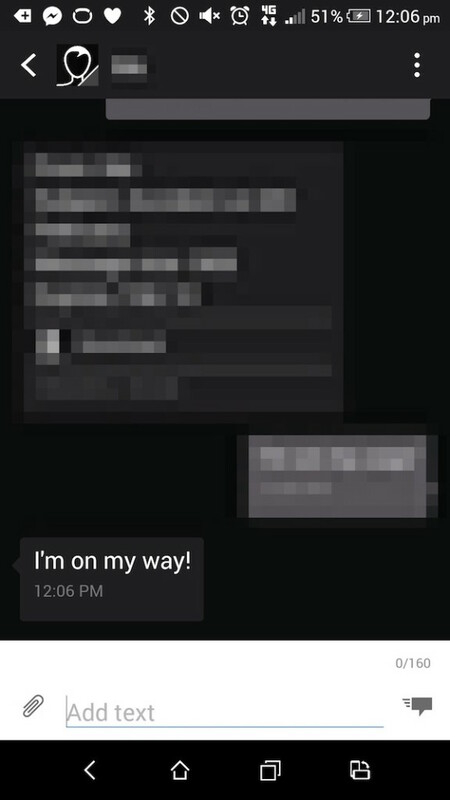 I have set up a trigger to get my Echo to be able to send my fiancée a message to let her know I’m on my way to see her. The Echo also has a to-do list which you can add things to by saying things like “Alexa, add ‘Buy Milk’ to my to-do list”. 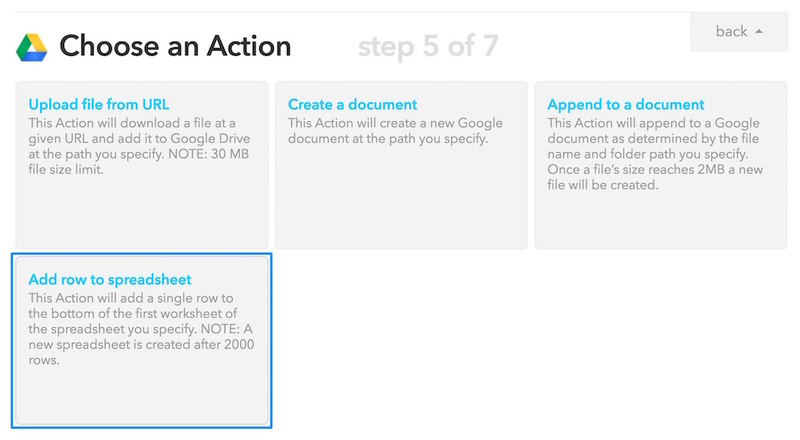 IFTTT can trigger actions any time an item is added to this to-do list. 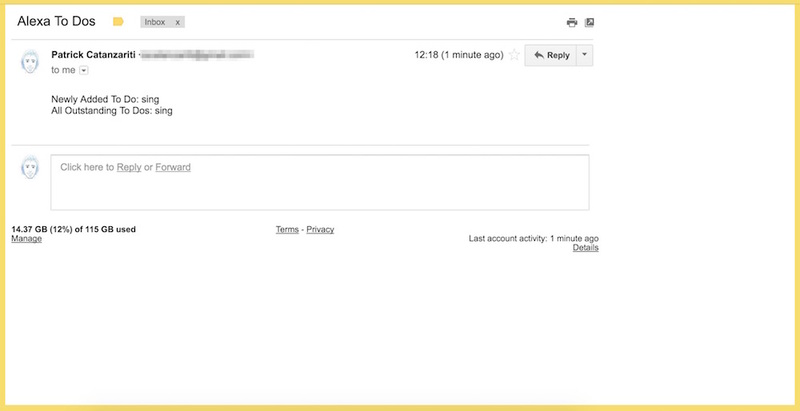 For example, we can email our to-do list to our Gmail account each time something is added to it. I’ve got “sing” added to my to-do list because when I asked the Echo to “Add something to my to do list”, it misunderstood me… but I thought it was kinda funny and left it. 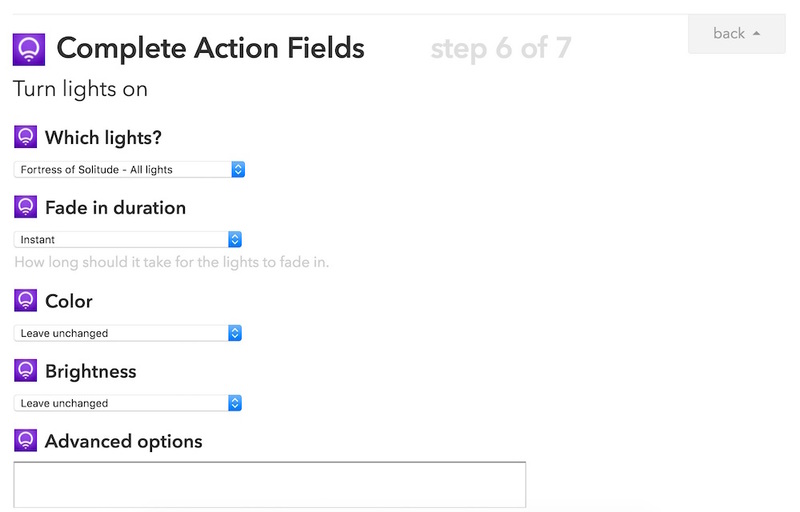 Within the action fields for this action, we set a name for our spreadsheet (e.g. 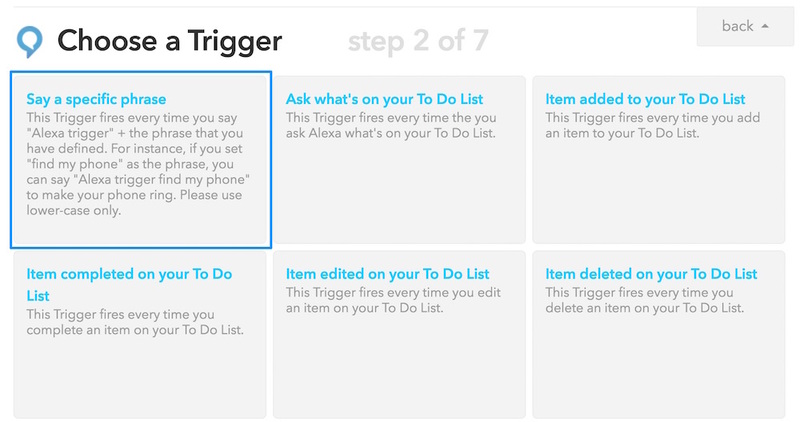 “Alexa To Do List”) and set up how we want the row to be formatted. Within our example, we have got “CreateTime ||| AddedItem“. The “|||” represents a column break, so CreateTime would be in one column and AddedItem would be in the other. 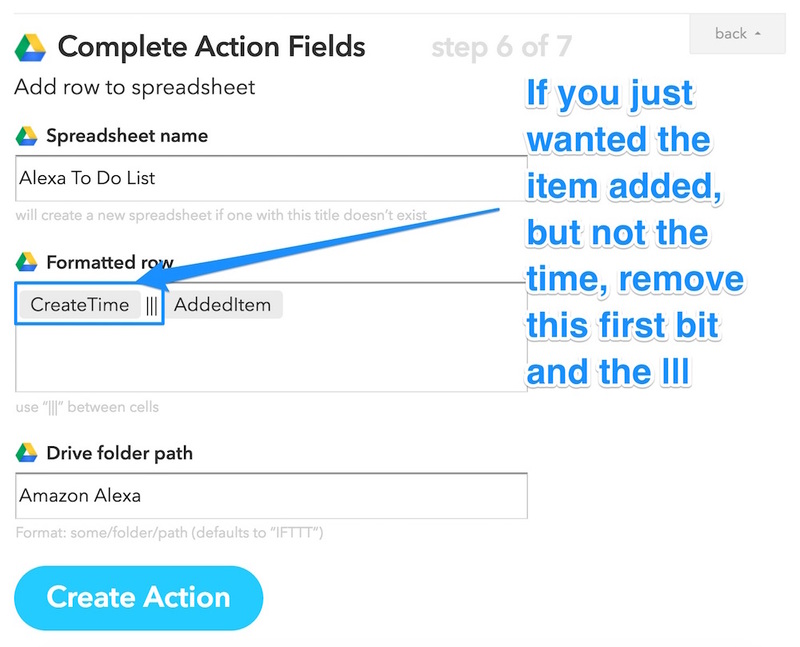 CreateTime adds a timestamp of when the to-do list item was created and AddedItem shows the actual to-do list item itself. There is a whole range of possibilities that combining the powers of the Echo and IFTTT can enable. Hopefully the examples above have spurred on some ideas of your own! 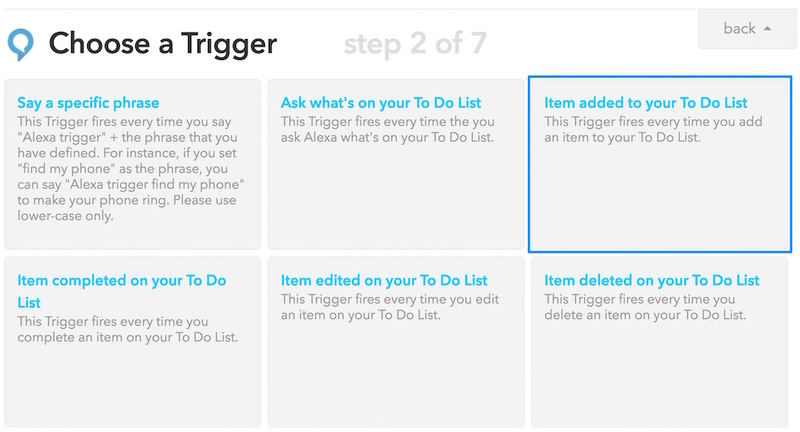 In the coming months, we’ll be exploring how to go beyond IFTTT to program the Echo with completely customised functionality, including AI and more! If you have an Echo and give IFTTT integration a go, I’d love to hear what you pair together! 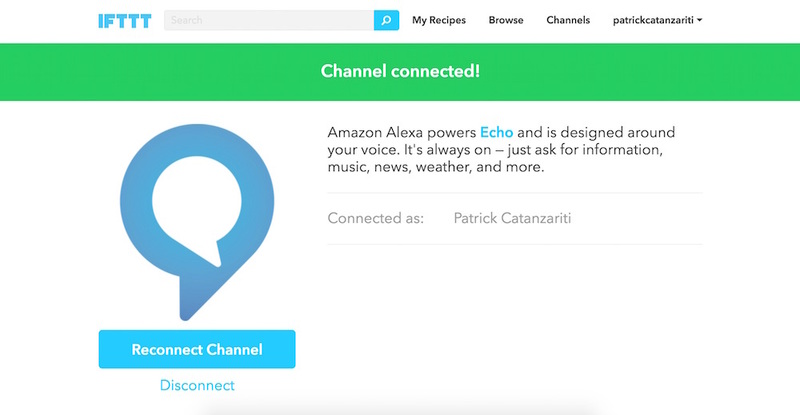 What have you connected the Echo to via IFTTT? Let me know in the comments below, or get in touch with me on Twitter at @thatpatrickguy.